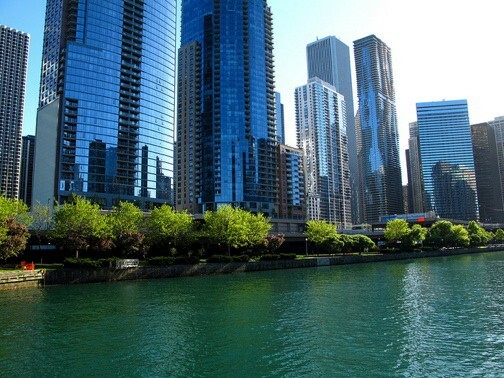 Downtown Chicago Apartment Tower Sells for Record Price | Fournier Law Firm, Ltd.
Related Midwest has taken a once-distressed concrete shell on Wacker Drive and officially sold it for $328 million. At $651,000 per unit, the record-breaking deal is the most expensive price-per-unit paid for an apartment building in Chicago. Related Midwest sold the 60-story apartment tower, dubbed OneEleven, to Chicago real estate firm Heitman. Already achieving 80 percent occupancy since opening in July 2014, OneEleven is one of the fastest-leasing apartment towers in the city. With that sale finalized, Related Midwest is moving forward with plans to break ground on a new 67-story residential building at 451 E. Grand. full article to learn more.